Avocado Review 2019: Could This Organic Latex Bed Fix Your Back Pain? 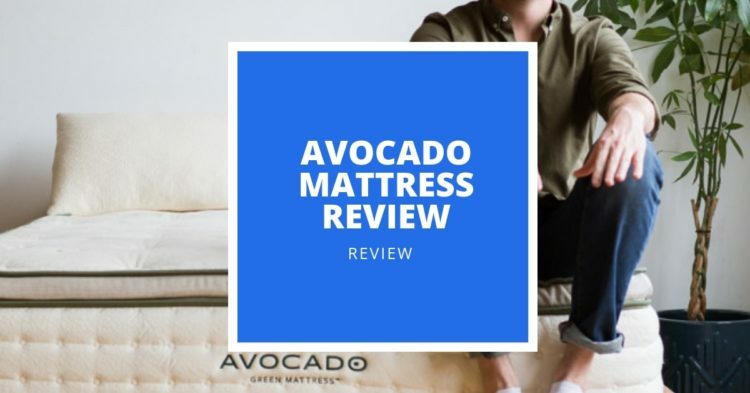 Home » Mattress » Avocado Mattress Review 2019: Could This Organic, Sustainable Mattress be the Solution to Your Back Pain? 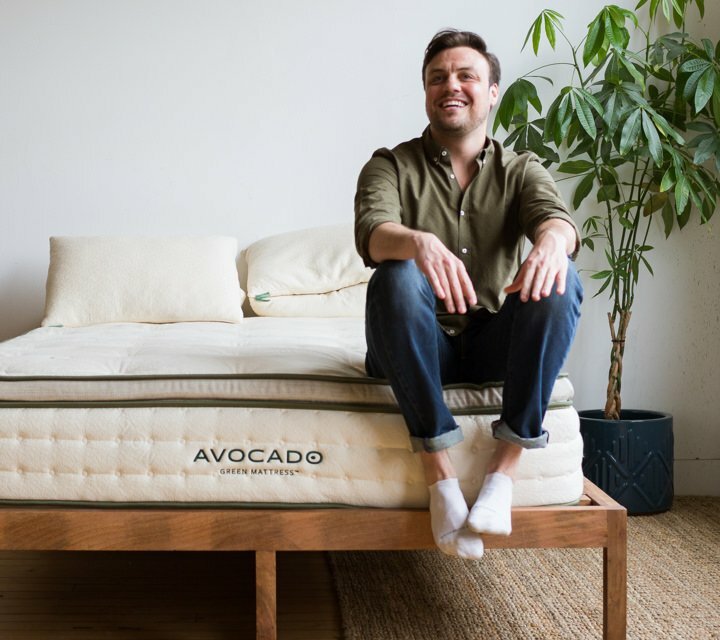 Avocado Mattress Review 2019: Could This Organic, Sustainable Mattress be the Solution to Your Back Pain? Are you thinking about investing in an Avocado mattress but unsure of whether to take the plunge? This article will cover all the essential information you need before making a decision either way. People who suffer from pressure points, are overweight, want a long-lasting mattress, and are sensitive to chemicals and odors should do well with the Avocado Green Mattress. Hot sleepers, couples, and people who are concerned with sustainability will also appreciate this bed. Although it’s not a cheap mattress, the features you get are said to be worth the price. The Avocado Green Mattress is a latex bed made from sustainable and organic materials. Available in both a pillow top and non-pillow top version, the non-pillow top version has a medium-firm feel, making it suitable for the widest range of sleepers. It provides a balanced level of firmness that will support a healthy spinal posture in every sleep position. If you’re sensitive to chemicals, want a sustainable product, or just need a comfortable and cool sleep experience, this bed could be a good fit for you. As a latex hybrid mattress, the Avocado Green Mattress combines strong, durable materials to create a supportive sleep surface. Long-lasting durability: While other mattresses use solely foam in their comfort layer, the Avocado Green Mattress uses latex. Latex is a highly durable material that lasts longer than other foam-based mattress materials. A comfort layer made with this resilient material, plus strong stitching and other durable materials, makes the Avocado mattress a good choice for longevity. Natural, non-irritating materials: If you’re an allergy sufferer or allergic to harsh chemicals, you’ll likely appreciate the Avocado Green Mattress. While many mattress manufacturers use toxic ingredients for their fire retardants, Avocado uses natural, hydrated silica instead. The natural New Zealand wool used in their bed acts as an extra fire barrier because it’s a hard material to ignite. Plenty of options: The Avocado Green Mattress is available in both a pillow top and non-pillow top version, giving you a customized feel. It’s also available in a vegan version for people who would rather not have animal products in their mattress. This version uses organic cotton instead of wool. If you like to have choices with your purchases, this should be a welcome set of options. Handles for moving the bed: The Avocado Green Mattress comes with heavy-duty handles so you can easily move the bed. Many other mattresses don’t have handles, so this is a plus if you need to adjust it. Just keep in mind that the mattress is quite heavy, so you might want to ask a friend for help. The non-pillow top version of the Avocado Green Mattress is “Gentle Firm,” or about a 6.5 out of 10 in terms of firmness. The pillow top version of the mattress is “Luxury Plush,” or a 5.5 out of 10 in terms of firmness. The version without the pillow top works well for stomach and back sleepers, due to its balanced firmness. In either of these positions, a medium-firm or firm mattress is best to support to keep the pelvis in alignment. Side sleepers will likely do better with the pillow top version, as it will cushion their hips and shoulders. The cover on the Avocado Green Mattress is made from organic cotton, one of the most breathable materials available. The cover is button-tufted (which prevents lumps from appearing in the bed over time) and has a soft, luxurious feel. Avocado Green mattresses use 100 percent natural Dunlop latex from sustainable sources. This high-performance, eco-friendly substance provides the bed with resilience and durability. In addition, latex is great for hot sleepers since it sleeps cooler than synthetic materials or most memory foam. The mattress also uses natural New Zealand wool that keeps the bed fresh and wicks away moisture for temperature regulation. This layer also protects the bed from dust mites and bacteria. The Avocado Green Mattress has a layer of coils to promote balance and spinal alignment. The innersprings are encased with fabric to reduce motion transfer and are arranged in three zones. This zoned system allows for joint support, contouring to your body and evenly distributing weight. The bed also has reinforced sides to create supportive edges that won’t make you feel like you’re about to roll off the mattress. Latex beds are known for sleeping cool and the Avocado Green Mattress is no exception. Latex doesn’t retain heat as much as memory foam and the innerspring layer promotes airflow. In addition, the cover and wool layer used in the Avocado Green Mattress help promote breathability. These materials work together to create a cool sleep temperature. Since the Avocado Green Mattress is a hybrid style bed in its construction, it isn’t as good at absorbing motion as memory foam mattresses. The mattress may also make some noise when you move around on it, which is worth keeping in mind if you’re a light sleeper. The latex used in the Avocado mattress comfort layer conforms fairly closely to the body, although it won’t contour as much as memory foam. The comfort layer can help reduce pressure and pain in your body and the bed is somewhat responsive, though the Avocado Green Mattress isn’t as bouncy as other beds. The Avocado Green Mattress is made with organic, natural materials and is eco-INSTITUT and GREENGUARD Gold certified. These certifications test for harmful levels of toxic chemicals to make sure your mattress is safe. They also offset their emissions by supporting projects through Carbonfund.org, who work to remove carbon dioxide from the atmosphere. While memory foam products often come with a strong smell known as an “off-gassing odor,” the Avocado Green Mattress only has minimal odors that most won’t notice. If you do notice a smell from your Avocado Green Mattress, allow it to air out in a room with open windows for a couple of days until it fades. One potential downside to latex mattresses is that they’re more expensive than other bed types. A Queen size mattress from Avocado Green currently costs $1,399 with an extra $400 if you opt for the pillow top. It has a great warranty and high-quality materials, though, so it should be worth it if you can afford the price. Warranty and sleep trial information are important to pay attention to when you’re making such a large investment. The Avocado Green Mattress comes with a 25-year limited warranty. This includes 10 years of full, non-prorated coverage and 25 years of limited coverage. The bed comes with a 100-night sleep trial that allows you to test out the bed before deciding whether to keep it. Q: Which type of sleeper is the Avocado Mattress good for? A: Different mattresses work well for people of different weights, sleep preferences, and sleep positions. The Avocado Green Mattress should work well for people who want organic, eco-friendly materials in their bed. It should also work well for people who need extra support for back pain and those who sleep with a partner. Due to the reinforced edges on the mattress, you and your partner can each sleep closer to the sides of the bed. Again, though it doesn’t absorb motion as well as memory foam, latex is decent at isolating movement. This should mean you and your partner can shift in your sleep without disturbing each other. Q: Which sleep position works best with the Avocado mattress? A: Side sleepers should feel comfortable sleeping on the Avocado Green Mattress, but if you weigh 130 pounds or less, you may want to opt for the pillow top model. When you don’t weigh as much, beds will feel firmer and this extra cushion may be appreciated. Back and stomach sleepers should also do well on the non-pillow top version of the Avocado mattress. The bed provides medium-firm support which feels comfortable and supports the hips in both of these positions. People who are carrying some extra weight should find that the coils in the Avocado mattress provide them with the firmness they need. Q: Can the Avocado Green mattress help with my back pain? A: This mattress has an advanced, zoned support system. The coils are each wrapped in fabric and move independently to contour to your body and provide pressure relief. Sleeping hot is a major problem for back pain sufferers since it disrupts your sleep and doesn’t allow your body to rest and recover from pain. The cooling features on the Avocado Green Mattress will likely be appreciated by people who have back pain. Q: What’s the difference between synthetic and natural latex? A: Not every latex mattress is the same and not all models are 100 percent natural. Synthetic latex can be made from various chemicals or plastic and typically isn’t as durable as natural latex. Natural latex, like the kind used in the Avocado Green Mattress, has a responsive springiness that the synthetic type can’t match. 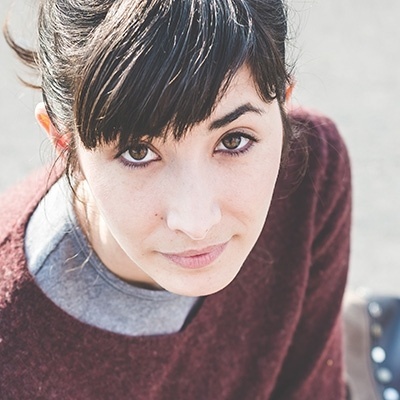 Q: Is this mattress suitable for people who are sensitive to chemicals and allergens? A: The Avocado Green Mattress might be a dream come true for people who are prone to allergic reactions. Natural latex is a hypoallergenic material that is resistant to dust mites. The bed uses a breathable cover made with organic cotton and a natural fire retardant instead of harsh chemicals. If you’ve suffered from allergies or have allergic reactions to toxins, this bed could be a welcome change for you. The foundation you use with your mattress is just as important as the mattress itself. A latex bed like the Avocado Green Mattress requires a resilient, firm foundation that doesn’t give much. If you put your latex mattress on too flexible of a foundation, it can lead to sagging and reduce the support you’re looking for from your bed. Having a supportive, solid base is crucial to get the most out of your mattress. You can use a foundation with a solid deck-like surface or closely spaced slats. Pure, natural latex is free from VOCs (volatile organic compounds), harsh chemicals, and formaldehyde. This material is resistant to pests, like dust mites, and is naturally antimicrobial. Natural latex is green, clean, and environmentally sustainable. Unless you specifically opt for 100 percent natural latex, you might end up with a synthetic latex bed, which doesn’t have these benefits to the same degree. Lower-quality latex also doesn’t last as long as naturally-sourced materials. Sleeping at a cool, comfortable temperature is necessary for quality rest. Latex provides a cool sleep experience as it doesn’t create as much sinkage as memory foam, which can lead to heat retention. If you struggle with sleeping hot at night, look for a latex mattress that uses a breathable cover. This should prevent you from waking up sweaty in the night. When you make an investment as important as a mattress, longevity is a factor worth considering. Latex is among the most durable of mattress materials, which is one of the reasons it costs more. Ensuring that you use your mattress with the correct foundation and flipping or rotating it as necessary will encourage a long life for your bed. While latex isn’t the best option for everyone, it’s a versatile material that should work well for a wide variety of sleepers. People who suffer from pressure points, are overweight, want a long-lasting mattress, and are sensitive to chemicals and odors should do well with the Avocado Green Mattress. Hot sleepers, couples, and people who are concerned with sustainability will also appreciate this bed. Although it’s not a cheap mattress, the features you get could be worth the price.